The greater Shenandoah Valley region reigns as the Commonwealth’s agricultural powerhouse. Farming must remain profitable if landowners are to keep their farms intact and then pass them to the next generations. The Valley Conservation Council has a number of prominent farmers on its Board of Directors to help us work closely with agricultural and forestry groups to address the immense challenges of 21st-century farming. This quality of representation is especially important when we consider that four of Virginia’s top five agricultural counties (Augusta, Page, Rockingham, and Shenandoah) are located in the Valley. The greater Shenandoah Valley region has been an agricultural powerhouse for centuries, if not millennia. From the earliest human settlements in the region, the Valley landscape has been dotted with productive croplands and thriving farmsteads. The Valley is a large natural grassland blessed with productive soils and plentiful clean water. Thus, it can support a wide variety of agricultural products without much irrigation. But, in these early decades of the 21st century, the region’s hallmark rural lifestyle and agricultural economy are now threatened. Some farmers face extreme challenges to stay in business, and fewer and fewer of the next generation have the inclination or the capital to carry on the farming tradition. VCC views this as a kind of ticking time bomb of farm sell-offs. In these early decades of the 21st century, the easier path seems to be the selling of the family farm to rampant development and urban sprawl. For us, agricultural vitality means farming in the greater Shenandoah Valley region by using up-to-date ecological principles and best-management practices to ensure the long-term production of crops and livestock as befits the Valley’s natural mix of fields, forests, and streams. 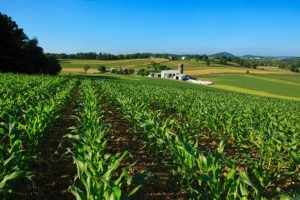 Some of the goals for agricultural vitality include providing support for farmers to keep farmland affordable, assisting farmers with succession planning, encouraging good land stewardship by protecting soil and water resources and meeting environmental regulations, and using land use policies to compete successfully against rampant development.